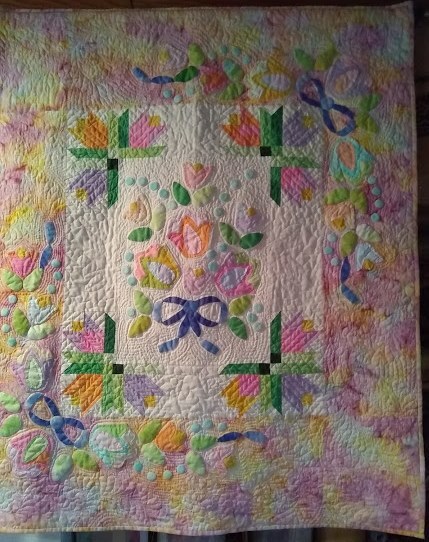 This started out to be a wedding quilt, 5 years later it is finally done. 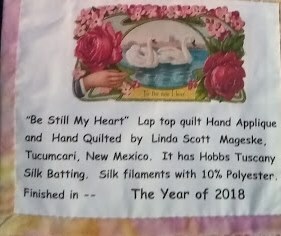 I had another quilt in the making but still took a few years to complete for the wedding quilt. 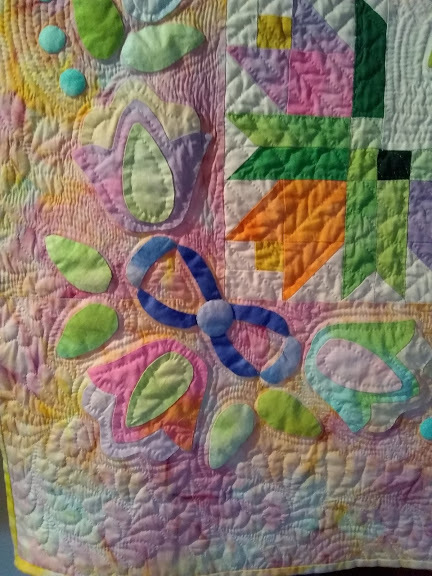 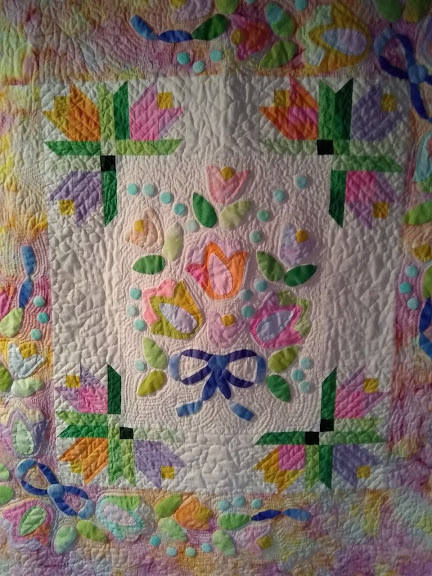 It is hand appliqued and hand quilted with a silk batting.